As a freshman in high school, I lived in this bubble, I had a very basic understanding of the world, but it wasn't until my Thinking Women class taught by my professor Kristie McEwan, that I really began to think differently. We learned about Gloria Steinem and boy was I in awe. If you have been living under a weird misogynistic rock and you have no clue who Gloria Steinem is let me teach you a little something. 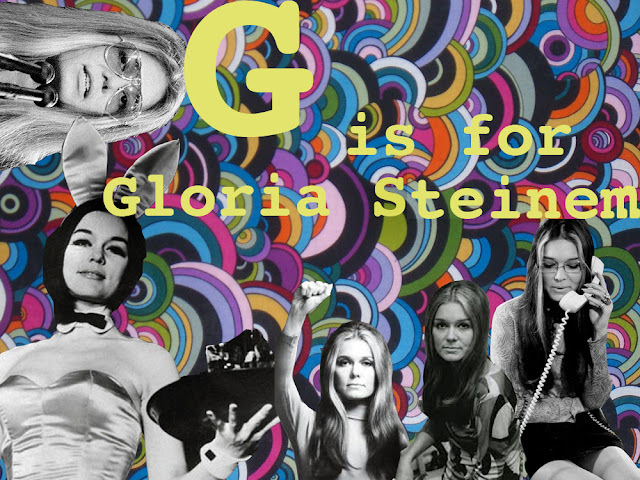 GLORIA STEINEM IS THE BOMB. There is SO much to talk about when discussing this incredible lady, but if I begin, I fear you won't be able to stop me. "Any woman who chooses to behave like a full human should be warned that the armies of the status quo will treat her as something of a dirty joke. That's their natural and first weapon. She will need her sisterhood." Awesome series! Dita Von Teese is one of my all time favourite lady heroes. She's so fierce.